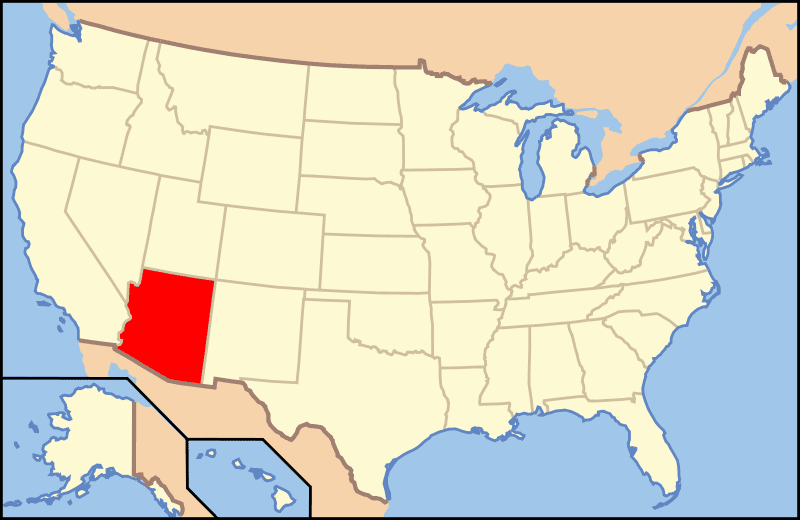 Arizona is one of the 50 states that make up the United States of America, located in the Southwest. It is well known for its landscape desert, its cacti and the cosmopolitan city of Phoenix . Much of Arizona has an arid or semiarid. These regions receive less than 40 inches of rain a year, still very hot in summer and mild in winter. However, the mountainous regions of higher altitude have a cold, wet weather. Most of the state is sparsely populated: the majority of Arizona's population is concentrated in two urban centers: Phoenix, the fastest growing city in the U.S., the largest city and capital of the state, and Tucson .